SKU: N/A. Categories: Heel Pain, Insoles and Orthotics, Over Pronation. Heel Pain and Plantar Fasciitis sufferers find extra support in Dr Foot Heel Pain Insoles! Plantar fasciitis is the pain caused by degenerative and of the plantar fascia. The pain may be substantial, resulting in the alteration of daily activities. The pain is often worst when you take your first steps on getting up in the morning, or after long periods of rest where no weight is placed on your foot. Gentle exercise may ease things a little as the day goes by, but a long walk or being on your feet for a long time often makes the pain worse. If you suffer from plantar fascitis or heel pain, you have found a friend in these ultra-supportive dr foot heel pain insoles. The soft cover and the flexible EVA base material create an excellent arch support which immediately treats the cause of the heel pain. 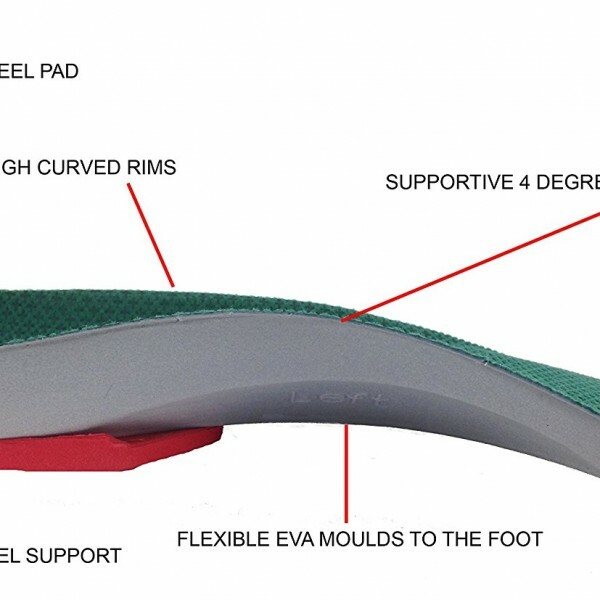 The special 4 degree heel wedge redistributes pressure away from the insertion of the plantar fascia of the heel (medial tubercle of the heel). 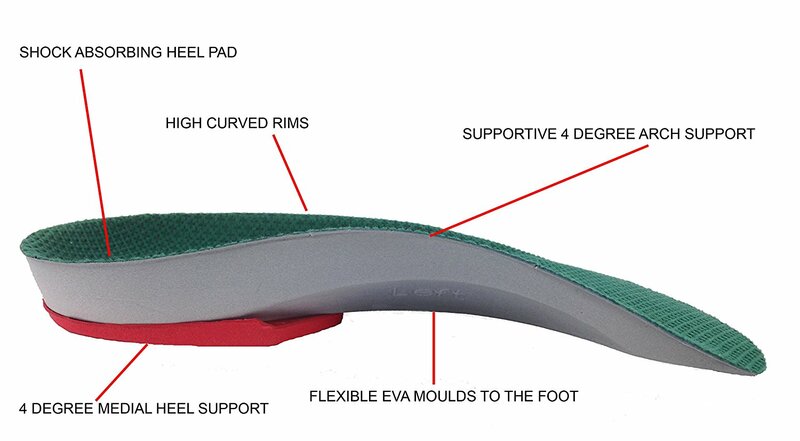 The insoles provide stability from foot strike through to mid-stance; they help to provide cushioning for the heel at heel strike. 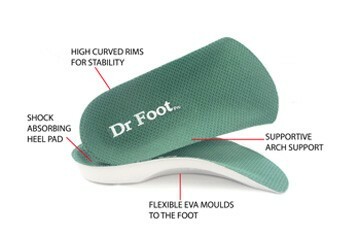 The additional 4 degree arch support relieves soreness in the arch and securing stability to the heel area. They help reduce stress at key weight points to reduce heel pain, keep each foot properly aligned and cradle and stabilize your heels. 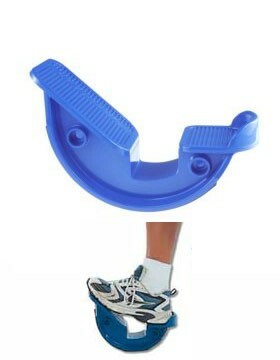 A strategically placed heel insert made of poron foam absorbs the pounding foot shock of each step. 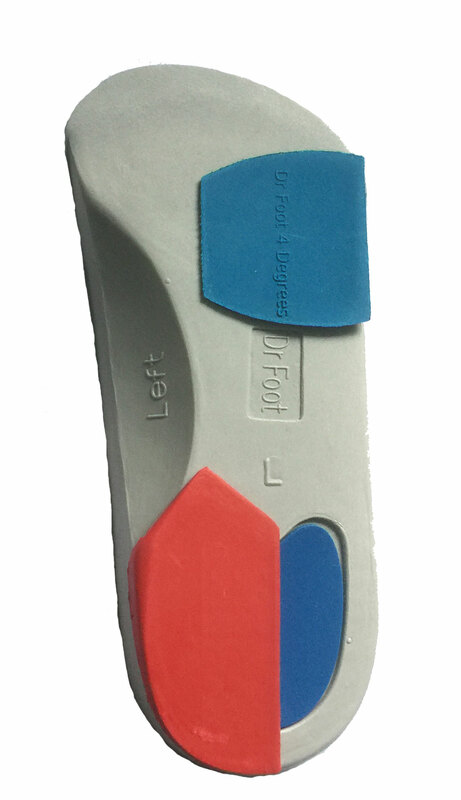 These orthotics feature a 4 degree lateral forefoot wedging (outside of the foot) which reduces the force required to initiate the windlass mechanism. The windlass mechanism can be defined as a motion that essentially creates a dynamic stable arch and hence a more rigid lever for push off to off load force on the fascia. 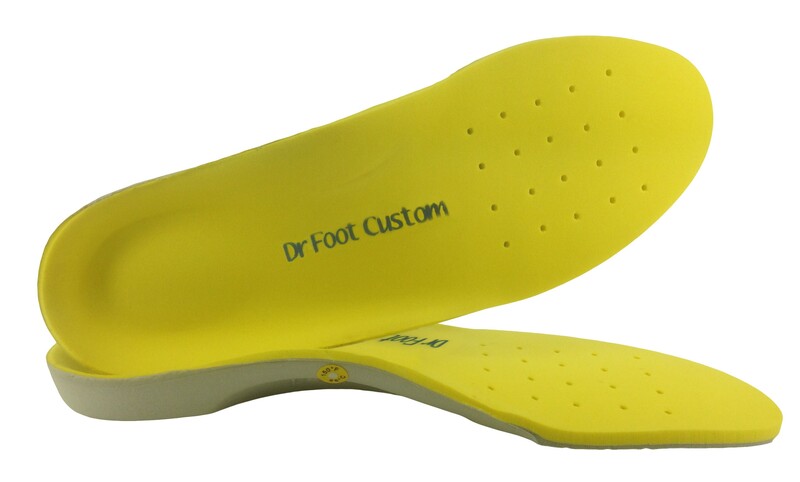 Dr Foot Pro Heel Pain 3/4 length insoles provide the support you need to insure immediate relief from heel pain.